In our look at Germany this week I wanted us to consider why German society and Nazi ideology developed as it did. One area we focused on was the idea of humiliation. Germany felt humiliated after W.W. I, and many of us understand the anger and desperation that come with humiliation. The whole tenor of Nazi society seemed to have this desperate edge to it. We might think, for example, that for the Nazi’s to have the kind of control it did over the populace it must have been a state with police everywhere. 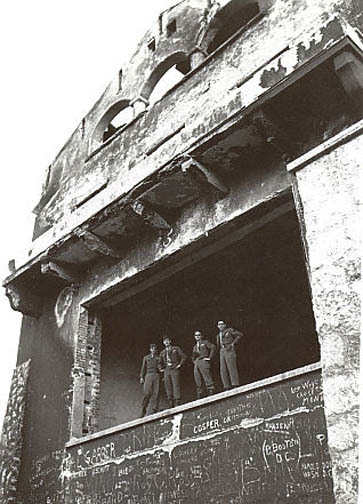 In fact, the Gestapo usually had very few actual people in a given place, but thousands of denunciations to pore over from average Germans kept them quite busy. Those denounced were usually turned in by neighbors, not “found out” by the Gestapo. The common theme in these denunciations was that these “enemies of the state” just didn’t seem to fit in. They were “asocial.” They had unusual friends or habits. They posed a threat to the German sense of German unity. I wonder if this reveals a deep sense of insecurity in the German people, and the need to therefore overcompensate. For example, let’s imagine that you are a big fan of band X. You love the band, they changed your life, and so on. Many share the same feelings, and you form an intense bond with other fans of the band. If you believed that people who did not share your beliefs about the band needed sent to a concentration camp, we would not declare that you were entirely secure about your beliefs. Your attitude would more likely reveal that you simply could not tolerate dissent, perhaps because you did not want reminded of the possibility that all you have bet everything on was a lie. Or it may not even need to be a “lie” — perhaps you would not want reminded that the band should not occupy such a cult-like status in your own head. We see this sense of intimidating overcompensation in different aspects of Nazi society. This first image, from Italy, has an almost comic look. 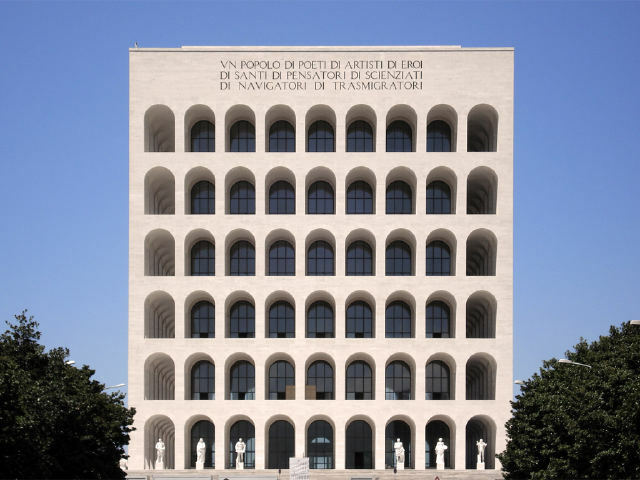 Mussolini tried to revive the glories of ancient Rome. The arch was one of ancient Rome’s great achievements, so let’s build a tall building of one arch on top of another! Rather than show the dynamism of fascism, it instead showed only its sterility. A few German examples below, however, reveal something else. Everything revolves around size, intimidation, and a repellant worship of force. When their soldiers went on parade, they couldn’t just march normally. The “goose-step” march heightened the intensity, but in fact only made them more robotic and less human. Throughout Hitler’s Germany we see this sense of exaggeration and distortion beyond the common. 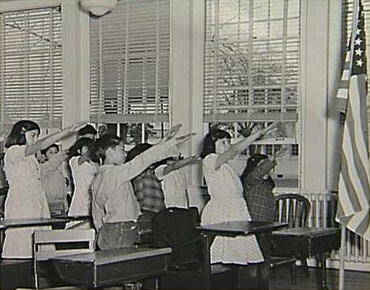 Thankfully we dropped the the “Bellamy Salute” (as it was known) in early 1942. We should not think that barbarism is a mere relic of the distant past. The worship of the state is little more than the worship of the tribe by the tribe. Those that worship the individual do most of their damage to themselves and their immediate circle. Concentrated idol worship by collectives has the potential to wreak far more havoc. Next week we begin the actual fighting of World War II. I picked up Tillman Allert’s The Hitler Salute: On the Meaning of a Gesture primarily because I wondered why the infamous gesture could catch on so fast. I was five years old and my grandmother sent me and my cousin . . . to the post office to buy stamps. . . . We went in and said, “Good morning.” The post-office lady scowled at us and sent us back outside with the words, “Don’t come back until you’ve learned your manners.” We exchanged glances and didn’t know what we had done wrong. My cousin thought maybe we should have knocked, so we knocked and said, “Good morning” again. At that point, the post-office lady took us back outside and showed us that the proper German greeting when entering a public building was a salute to the Fuhrer. That’s my memory of “Heil Hitler!” and it has stayed with me to this day. I firmly believe in the power of tradition over time, and the peril societies court when they chuck it wholesale. It should never work. And yet, it some sense the Nazi’s utter abandonment of many very basic social customs “worked” for a time. With obvious exceptions (see the photo below), an entire society changed its form of greeting in an historical blink of an eye. Allert’s book helped answer my question, but he spends most of his time discussing the sociological aspects of personal greetings, and this proved a welcome surprise for me–though I should have guessed it from the title. Understanding both the greeting and its rapid ascent we need to see Germany in context. German culture has a long history, but not the German nation. As a distinct political entity “Germany” did not exist until 1871. For centuries the patchwork collection of provinces and principalities had been the happy hunting grounds of older states such as France, Austria, and even Russia. In the mid-18th century Prussia emerged in its own right largely thanks to its military and somewhat autocratic kings. But it took both the Industrial Revolution and Bismarck a full century after this to unite Germany under Prussian political guidance. Bismarck had certain key goals in German unification. Above all he wanted to avoid uniting Germany along democratic lines. Each major leap forward in the process of unification happened because of wars–the application of force. After Prussia won the Danish War, the Austro-Prussian War, the Franco-Prussian War, Germany lost W.W. I. The Versailles Treaty only added to Germany’s humiliation and frustration at the terms of the peace, their geo-political “encirclement,” and so on. 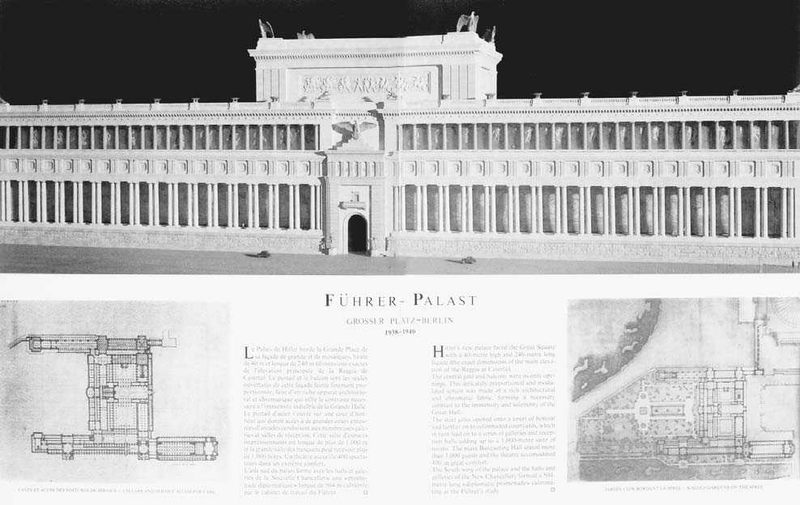 The lackluster Weimar Republic and the accompanying degradation (real or perceived) of German culture fueled the desire to reaffirm German unity. The push for a universal German greeting began in earnest. Allert directs our attention to the nature of greetings themselves. Even a simple “hello” invites someone into a personal space, and creates the possibility of more/deeper personal relationships. Almost all social greetings have this character. We request that others allow us into their world as we invite them into our own. Perhaps this helps explain why the new “greeting” caught on so quickly. It is not a greeting at all. We can imagine the awkwardness of switching from saying, “Hello,” to “A merry-jolly day to you,” or something along those lines. It probably wouldn’t stick. But if we had to stand on one leg and look at the ground instead instead of saying “hello,” maybe that might have a better chance? “Heil Hitler” shares much in common with other aspects of Nazi life. Just as this “greeting” is not really a greeting, so too the goose-step march is not really a march. Both de-personalize and therefore dehumanize life. This clues us in that the Nazi’s cared not so much for “Germany,” or their warped idea of purity, but ultimately about their perverted idea of the so-called beauty in death. Their desire to raise the stakes of a personal greeting speaks of the nihilism at the bottom of their philosophy (which Father Seraphim Rose alludes to in his brief article below). *In their recollections many recalled that they could always tell where their teachers stood in relation to the regime by how they “greeted” the students with the obligatory “Heil Hitler!” at the start of class. None (I presume) could have taught without saying it. But some teachers always looked for ways around the full measure of obligation. One remembered that a particular teacher always walked in the door carrying large stacks of papers under his arms, making it “impossible” for him to raise his arm as he likely said “Heil Hitler.” Another entered invariably with a piece of chalk in his hand already. He would raise his arm to begin writing on the board, then turn to the class and say “Heil Hitler” with his right arm still lingering on the chalkboard. I have much sympathy with these teachers, whatever their circumstances might have been. This, however, is a better epitaph . . .
From Seraphim Rose . . . The chief intellectual impetus for Vitalism has been a rejection of the realist/scientific view of the world, which simplifies things and “dries them out” of any emotional life. Unfortunately, however much the Vitalist might yearn for the ‘spiritual’ or the ‘mystical,’ he will never look to Christian truth to fulfill this need, for Christianity for them is as ‘outdated’ for him as the most dedicated rationalist. The Christian truth which the Enlightenment undermined and rationalism attacked is no mere philosophy, but the Source, the Truth of life and salvation, and once there begins among the multitude a conviction that Christianity no longer remains credible, the result will be not an urbane skepticism imagined by the Enlightenment, but a spiritual catastrophe of enormous dimensions, one whose effect will make itself felt in every area of life and thought. Towards the end of the 19th century, a restlessness and desperation had begun to steal into the hearts of a select few of Europe’s intellectual elite. This restlessness has been the chief psychological impetus for Vitalism; it forms the raw material that demagogues and craftsmen of human hearts may play upon. 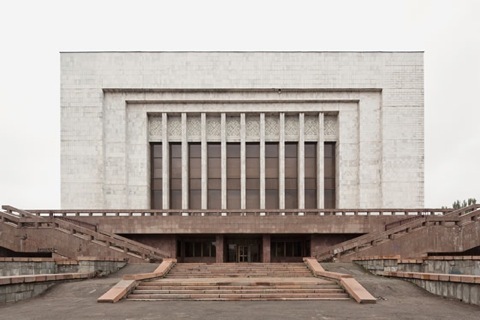 Fascist and National Socialist regimes show us what happens when such craftsmen utilize this restlessness for their own purposes. It may seem strange to some that such restlessness would manifest itself in places that had reached the seeming pinnacle of human cultural and political achievement, but such manifestations should not surprise us . . . .
Perhaps the most striking examples of this unrest manifest themselves in juvenile crime. Gangs roam about and have senseless wars with each other, and to what purpose? Such criminals come from the “best” elements of society just as from the “worst.” When questioned, such people talk of boredom, confusion, an unidentified “urge” to commit these acts. No rational motive appears for their actions. There are other less violent forms this unrest takes. In our own time we see a passion for movement and speed, expressed especially in the cult of the automobile (we have already noted this passion in Hitler), and in our adulation of athletes. Add to this the universal appeal of television, movies, videos, which mainly serve to distract us and allow us to escape from reality both by their eclectic and “exciting” subject matter and the hypnotic effect of the media themselves; the prevalence of sexual promiscuity, being another form of the “experimental” attitude so encouraged by the arts and sciences. In such phenomena “activity” serves as an escape–an escape from boredom, meaninglessness, and most profoundly from the emptiness that takes possession of the heart that has abandoned God and refuses to know their own selves. The bomb-terror spares neither the rich nor poor; before the labor offices of total war the last class barriers have had to come down . . . . Together with the monuments of culture there crumble also the last obstacles to the fulfillment of our revolutionary task. Now that everything is in ruins, we are forced to rebuild Europe. In trying to destroy us, the enemy has only succeeded in smashing its own past, and with that, everything outworn and old has gone. We caused W.W. II . . . and that was wrong. But . . . we must understand that W.W. II was a byproduct of the unjust Treaty of Versailles. Thus, when we talk about helping to shape a new peaceful order of nations, we can draw on the vast majority of our history to do so. Fischer argued instead that in fact, Germany pursued an aggressive policy leading up to both conflicts. If they faced “encirclement” from other nations in 1914 that had everything to do with Germany’s own drive to dominate Europe themselves. Certainly Hitler and the Nazi’s had racial aims that had almost nothing to do with the Germany of 1914. But . . . their territorial and economic aims remained remarkably similar. In these policy areas the Nazi regime simply picked up where Germany left off decades prior. In making such arguments Fischer obviously made himself extremely unpopular. He directly challenged Germany’s sense of history and sense of identity. Provided that his arguments came from a genuine seeking of truth and not from a masochistic, cynical self-loathing, the term “courageous” might apply. Let the German nation arise, strong and invincible, only in the greatest danger conscious of all her strength. Let her reclaim the place in the world that is hers, the place that she once had that was taken from her in the ignoble times of her weakness. Let her begin again what she was in the long gone–mistress of the north and east, champion of German culture, and safeguard of western civilization against the tyranny of Asiatic barbarism. the idea of increased state autonomy, the idea of power, has replaced it. It is this idea that inspires and guides leading men everywhere. What reason can we give ourselves for hesitating? What excuse can we give our allies for denying them aid? We have given them our word under oath to protect them and now we are saying they never helped us? Our treaty with them was not for them to come to Athens and help us but to harass our enemies in Sicily and prevent them from attacking us. This they did. Like all great imperial powers we have acquired our dominion by our readiness to stand by anyone, barbarian or Greek, who asked for our help. If we sit by and do nothing or make distinctions on the basis of nationality when people ask our help, we will not only add little to our empire but we will probably run the risk of losing it altogether. Wise men are not content to repel the attack of a superior power, they anticipate it. We cannot regulate at our pleasure the extent of our empire. Given our position, we must neither relax our hold on our subjects nor give up our plans to attack and rule over others. For if we do not rule over them, we will be ruled over by them! We cannot afford the luxury of inaction like those who are our subjects unless we wish to exchange places with them and become subjected to them. The debates surrounding the origins of W.W. I and who one should primarily blame can engage and fascinate, but most miss that the real cause of the war lay in Europe’s spiritual restlessness. The Romantic reaction to the Enlightenment initially spurred on some notable cultural and intellectual innovation. By the end of the 19th century, however, all we had left was a pointless, restless, unease. We must move so we do not die. But in what direction should we move? Where should we go? In politics, the most successful forms of this impulse have Mussolini’s cult of action and violence, and Hitler’s darker cult of “blood and soil.” Vitalism, in its quest for life, smells of Death. I love Tyler Cowen’s Marginal Revolution blog. Like so many others I find him broadminded, engaging, and properly provocative. His most recent tome, The Complacent Class, makes some timely arguments about the state of the union. He asserts that Americans have grown lazy. We prefer being comfortable to a challenge. We spend time with people just like us, and modern technology allows us to pick only the music, food, movies, etc. that we know we will like. More than ever, we live in self-contained loops, and this has grave implications of for our culture. I usually agree with Cowen and most of what I read about the book seems persuasive. But one of the key supports to his arguments is the apparent fact that Americans move around and change jobs much less than they used to. Perhaps this is a byproduct of some of the other changes in society. Cowen calls this a serious negative, but I’m not so sure. Putting down roots will not help build local communities if we decide to stay inside on our screens. But the wandering psychological restlessness prevalent from 1850-1930 helped contribute to two devastating world wars. For all of his movement and desperation to seek a challenge, how much did Alexander the Great grow as a person? A cursory examination of his life hints more at degeneration than growth. Christianity is the only frame which has preserved the pleasure of Paganism. We might fancy some children playing on the flat grassy top of some tall island in the sea. So long as there was a wall round the cliff’s edge they could fling themselves into every frantic game and make the place the noisiest of nurseries. But the walls were knocked down, leaving the naked peril of the precipice. They did not fall over; but when their friends returned to them they were all huddled in terror in the centre of the island; and their song had ceased. The ruin of oligarchy, [said Socrates] is the ruin of democracy; the same disease magnified and intensified by liberty overmasters democracy — the truth being that the excess of anything often causes a reaction in the opposite direction; and this is the case in vegetable and animal life, but above all in forms of government . . . The excess of liberty, whether in States or individuals, seems only to pass into excess of slavery. . . . And so tyranny naturally arises out of democracy, and the most aggravated form of tyranny and slavery out of the most extreme form of liberty. I thought about both Plato and Chesterton when listening to a reaction from one commentator on the Supreme Court’s decision on homosexual marriage. He agreed with the decision not for legal or moral reasons (which I would disagree with but at least understand in part), but because, “thankfully, the Court recognizes that we live in the 21st century.” That is, the Court should essentially approve of whatever we happen to be doing at any given time. * This may look like freedom, but in fact enslaves us to a particular moment without any benefit of perspective. Maybe we must come to terms with the fact that this is what democracy means now. Perhaps it has always been so and we failed to recognize it. In any case, this method leaves ourselves only to the walls inside our own heads. This is why “great” revolutions often end up making things much worse than the regimes they overthrew. Of course no one intends this at the outset or even recognizes the possibility, partly because revolutionaries perceive a truth, or part of the truth, with crystal clarity. This truth will give them the motivation they need for revolution. But because this truth is only part of the whole Truth, it leads to a frozen dogmatism. The fences melt away in our rush to embrace freedom, and all end up huddling at the center whether they wish it or not. 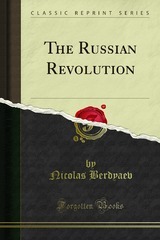 One of the great virtues of Nicolas Berdyaev’s The Russian Revolution is his keen vision that sees past the political aspects of Communism and into its spiritual core. Of course the Soviet state adopted atheism as its official policy, but Berdyaev puts the roots of communist origins within the deep and ardent tradition of Russian spirituality. Anyone who has read 19th century Russian literature recognizes the depths of profound insight and feeling those masters tapped. Their intensity of feeling led them to examine the nature of suffering perhaps as no other epoch has. The first modern globalization movement allowed more sensitive souls more exposure to more suffering. Some, like Dostoevsky, took suffering and had it transformed by the cross. But others failed to do so, and developed what we might call a “naked” hatred of suffering. As one early Bolshevik proclaimed, “Suffering has no right to exist.” Everyone must be happy. This rejection of the meaning of suffering cannot bring one closer to our fellow men, because of course we do suffer and always will. To reject suffering sets one up to reject the experience of mankind, and then, mankind itself. Suffering without the Cross gives way to tyranny. The early revolutionaries had within them a deep asceticism. All things not geared fully towards improving the material lot of the people must be expunged. 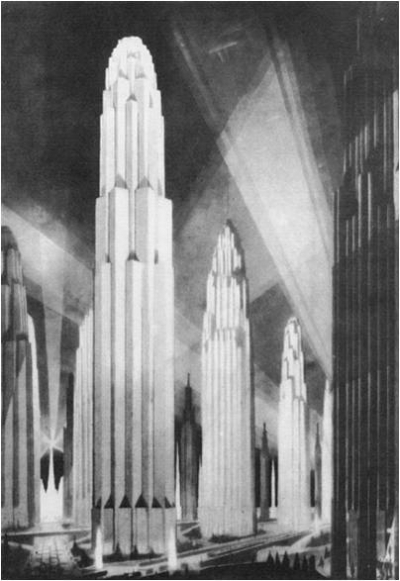 Beauty itself became a debauched and corrupting luxury. Everyone must do without so that nothing ever gets wasted, either in the mind or on the ledger sheet. Such asceticism, without grace, again leads to tyranny. But let us not miss the fact that this tyranny has its roots in a certain idea of freedom. Communists wished the people to be free from suffering, free from worry about the future, free from the competitive aspects of capitalist societies. Now we know that such freedom leads to a drabness and narrowing of life. Berdyaev wrote in 1931 and he had a keen insight for the westerners to whom he wrote. Westerners at that time and now, fundamentally are skeptics, and they assumed that the Soviets shared this basic outlook. Not so. The communist has deep (though misplaced) faith, and the people understand and embrace this faith. The state could not hold together for any other reason. This faith flies in the face of “evidence” against it. Most communists rejected the physics of the early 20th century, for example, because Einstein and others smacked of mysticism, and we must exorcise all mysticism so that the people will have true happiness. In the end pure rationalism becomes entirely irrational and ridiculous. Still they press on. Our failure to recognize this faith led us to combat it by all the wrong means. 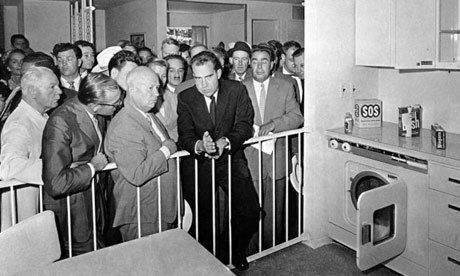 One thinks of Nixon trying to impress Khruschev by showing him better refrigerators. It showed our misunderstanding and our bankruptcy. Was this all we had to offer? If Khruschev was not impressed, we should be surprised. Christianity has not put its truth into full living practice. It has found its realization either in conventional formula or in theocracies which deliberately ignore freedom (which is the fundamental condition of any genuine realization), or it has practiced a system of duality, as in modern history, when its power has weakened. And therefore Communism has made its appearance as a punishment and a reminder, as a perversion of some genuine truth. As I and others lament the recent high court decision on the validity of homosexual marriage we do well to follow Berdyaev’s example and point our fingers in the right place. For what we see before us comes fundamentally from the Church’s failure to explain the true nature of marriage not as an emotional bond between two people, but as an image of salvation itself, the marriage of Heaven and Earth. In Eastern churches, the bride and groom process around the congregation during the service wearing crowns. These crowns represent crowns of the martyrs. Marriage, like monasticism, is a kind of martyrdom, a death out of which new life emerges. What we see before us should serve as a “punishment and a reminder” of what we should have proclaiming and living out all along. *One sees this in many places in our culture. Take, for example, the rise of graphic novels. Rather than be comfortable with the strengths and weaknesses of the medium, we hear ardent insistence that “graphic novels are just like books.” In my limited experience it seems obligatory for authors of young-adult fiction to include a mean teacher in the story who fails to allow a student to hand in a book-report on a graphic novel. The theme is the same — whatever we happen to be doing must be affirmed by all.